Erector takes flight into space! 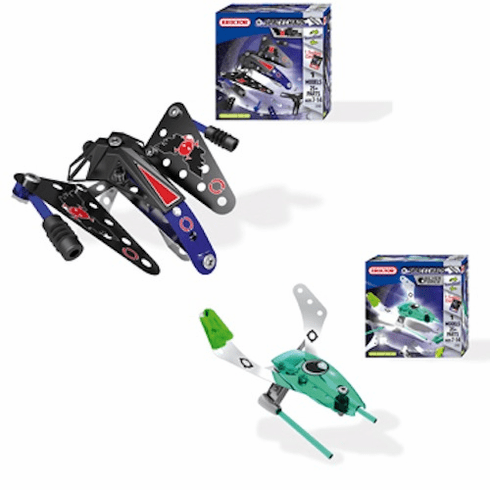 Build your own mini flyer with the Erector Space Chaos Drone made from 30 pieces. Collect both drones to fly each other. Increase power by collecting green crystal from other products. Dimensions: 5.9" X 5.9" X 2". Ages 7+.